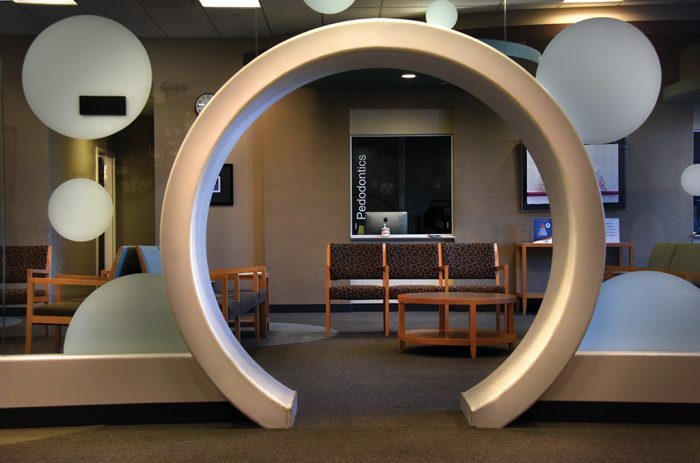 Inside The Dental College of Georgia pediatric dentistry and orthodontics waiting room. Photo By Phil Jones | 45 mm lens, 1/60 sec@f/6.3, ISO 1200. 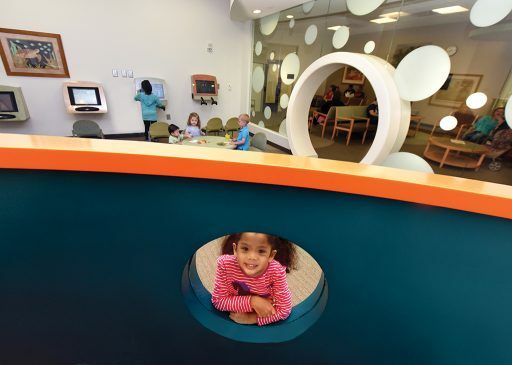 Giggles and happy chatter fill the air as kids leaf through picture books or play wall-mounted video games. The décor – vivid primary colors and loopy geometric shapes – infuse the room with fun and vitality. Housed in the Dental College of Georgia Building on Augusta University’s Health Sciences Campus, this idyllic playroom is part of the pediatric dentistry and orthodontics waiting room. 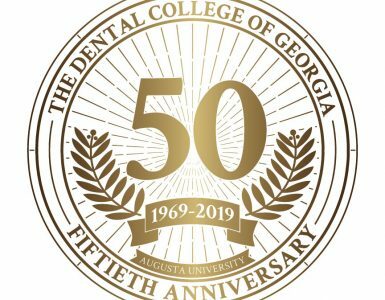 Patients in both departments receive a wide range of clinical services from faculty clinicians and residents of DCG’s dental programs. The pediatric dental clinic serves children from infancy through adolescence, providing primary and comprehensive oral health care. 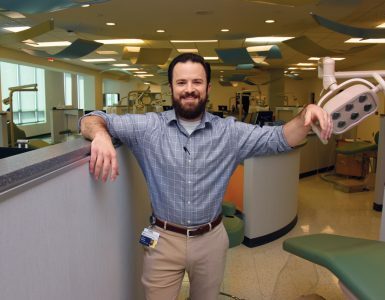 Services include preventive care – sealants, cleanings and ongoing education for both children and parents to ensure a lifetime of healthy smiles – as well as in-depth treatment for patients with more extensive needs, according to Dr. Tara Schafer, interim chairman of the department. While serving their patients, faculty members simultaneously impart their expertise to DCG students. 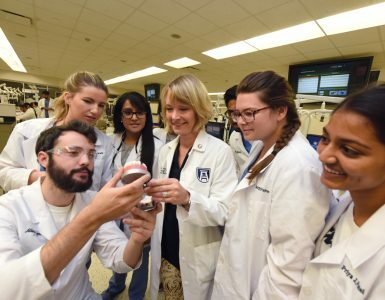 The pediatric dentistry department’s two-year residency provides specialized pediatric training in clinics and hospitals locally and throughout the state and are a constant presence on the volunteer scene, opening their doors – or taking their skills on the road – to treat underserved populations.